Used to upgrade my 5 speed road bike to a 6 speed and that's what it's done . 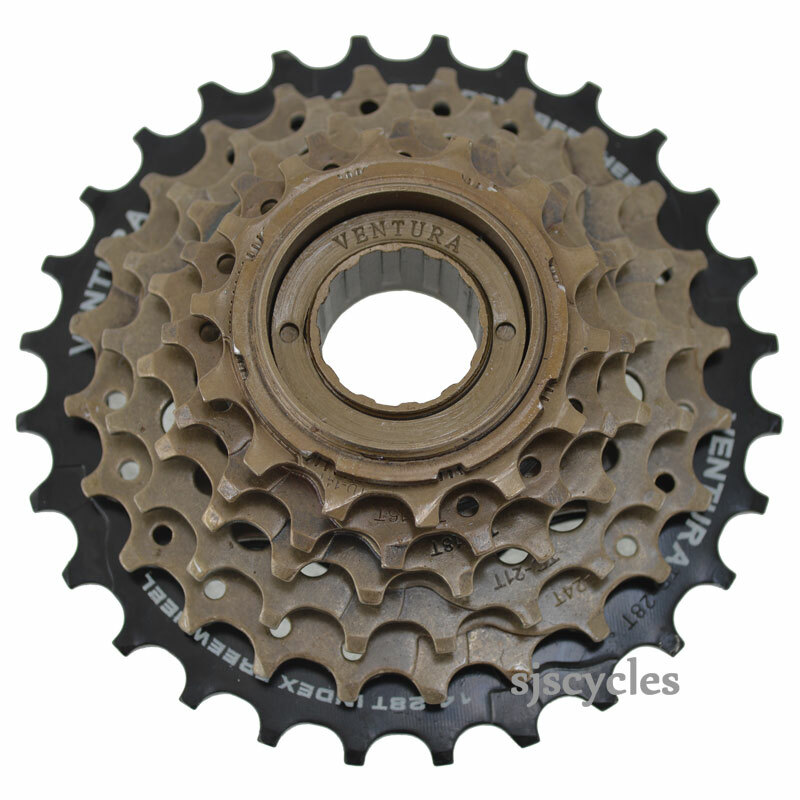 I have been advise i need a 6 speed uniglide cassette. Will this work? Apparently the last cog is screw on. Thank you for your enquiry, unfortunately we do not have anything that will be compatible with the Uniglide system as these are no longer produced. Your best best option may be to check on eBay to see if anyone has any old stock. When discussing vintage products it is hard to find such product data. I would suggest the Simplex should be suitable for a 25T cassette - but you might fine in practise this would be better on a 23T or actually work with a 28T. Generally the width of the freewheel is very similar and fits, but again there are a few variants so would need to be tested on your particular set up.